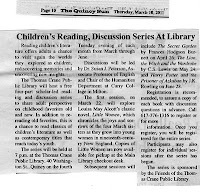 The headline doesn't tell the whole story, but the story does... Thomas Crane Public Library in Quincy kicked off a reading and discussion program for adults to revisit books written for children, but "not for children only." Returning to the grammar school of one's childhood, with the fixtures and furniture so much closer to the floor than we remember, makes very real the passage of time and the strangers we have become to the children we once were. So too, reading with adult experience that which once was taken from a child's perspective can be eerie and delightful. Come, read, discuss! 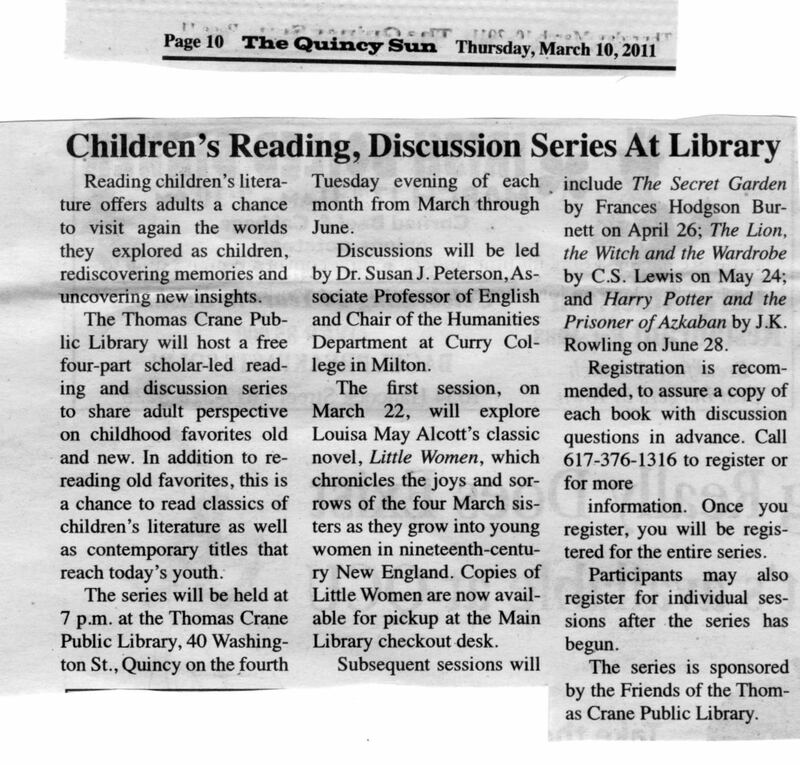 Thanks to the Quincy Sun for helping promote our program.